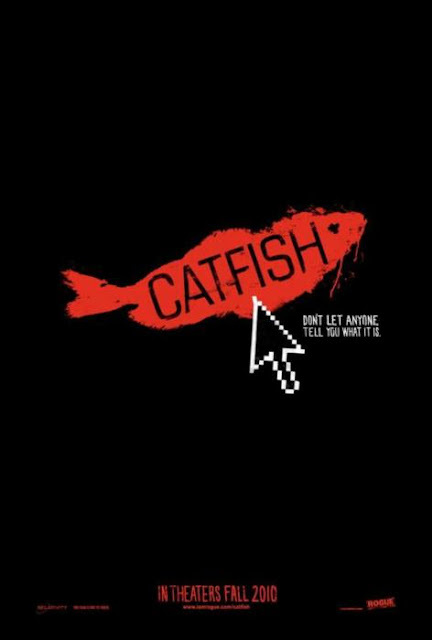 Weeks after downloading (and saving in my flash disk), I finally got to watch Catfish, the other movie about Facebook. Of course, we all know about The Social Network, the Academy Award and BAFTA nominated, Golden Globes award-winning film about the founding of today's leading social networking site. We got to meet Mark Zuckerberg, Eduardo Saverin, the Winklevoss twins, the inspiration Erica Albright, and other highly illuminated characters. Facebook has made a huge impact in the way we socialize and has made the world smaller than what it seems. It has made us closer to anyone, virtually, just with an internet connection and the power (guts) to click "Add as a Friend." Catfish, unlike TSN, did not employ seasoned actors. 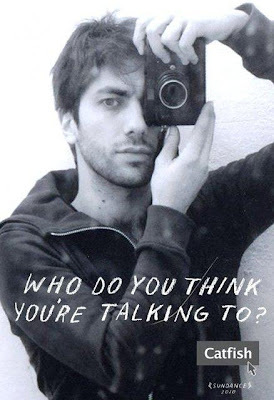 Instead, it has Nev Schulman, NY based photographer who met Abby, a young girl from Michigan through their exchange of messages in Facebook. Armed with their own equipment, Schulman, together with his brother Ariel and friend Henry Joost chronicled the entire "made from the pc" friendship with Abby and her entire family. The (totally) attractive Schulman eventually fell in love with Abby's older half-sister Megan and that's where the plot thickens. What happened next will either creep you out or fascinate you. I won't spoil you with so much information, as the movie is better watched than told. Just to tell you, the documentary (a fact still very much doubtful) encapsulates a relationship of meeting someone online, the validity of their identity, and the situations that may be raised (or not at all) after you "confirm." 2. People who actually mean whatever they put online - such as photos, basic information etc. I had this mistake of adding so many people, just as long as we have mutual friends in common, without even bothering of thinking whether or not I know them or even met them in real life. Good thing though, I have segregated them in a list aptly labeled as "Limited Profile" so they won't get to access my other personal stuff. I was thinking of getting rid of the list, but I thought some of the people there are those (without a doubt) I've actually met, but just don't want to get a hold of certain stuff about me. The complexity of human relationship made more complicated as it gets tangled in the (world wide) web. It really doesn't take a stranger to make you feel uneasy about online relationships. Lest, it also doesn't have to be an online relationship to make you think about the way you relate with people. The concern is that how much of you is the real you, considering the fact that anything can be made up, online or not. In times like this, it's so easy to create a whole new person to get accepted, to be liked, and to be loved. It's easy to pretend to be someone else you are not or be in places you haven't been to since it's relatively easy to build new information with all the possible resources you can find online. For those who wouldn't bother digging, it probably would work. But for others who would go as far as what Nev did, it would take forever or won't at all. Honestly, I'm afraid is hard to grasp these days. Catfish showed the baffling truth about truth and the reality we have to face about ourselves, online and offline. I've always been a fan of Anik-anik love, a blogsite that features work spaces of some of the country's most creative people. Maintained by ace photographer Mitch Mauricio, the blog lets you peek inside the room (or house or unit) where creative juices flow and also delve into the mind of a creative extraordinaire. She has featured some of the talents from Philippines' artistic set, including writer Yvette Tan (one of my favourite features), director Quark Henares, photographers Jake Versoza and Jay Tablante, sculptor Leeroy New, National Artist for Literature F. Sionil Jose, designer Kate Torralba, and one of my girl crushes, Audrey Carpio. Since I am probably far from getting featured, let me indulge (myself to your amusement, hah!) and answer the questions from the blog. Unlike the post though, I won't let you in my room because it's an unutterable mess as of the moment. I hope it's okay to copy the questionnaire. On my current playlist: Kylie Minogue, Ingrid Michaelson, Whitest Boy Alive, The Drums, The Cure (always), Mike Posner, John Mayer, The Killers, Taken by Cars Social Network OST... the list goes on... I actually have different playlists everyday because I provide music in the office. If you were to choose a different job, what would it be? a dessert chef would be nice, primarily because I have insatiable love for sweets especially cakes! Ah, as they say suntok sa buwan. Yo excuse me, can I talk to you fo' a minute? You miss me!!! C'mon admit eeet. Whichever your reason is, well, I just want to say that I am back!!! 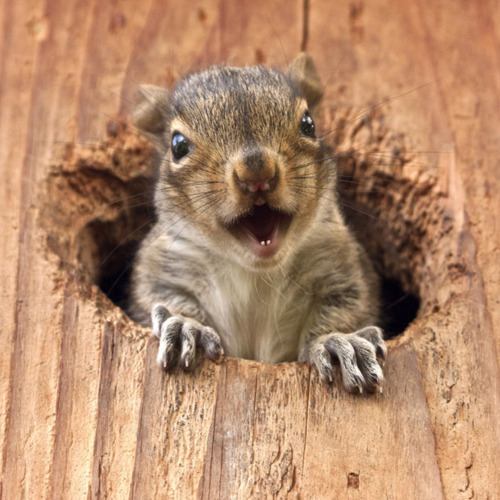 :-) I'm happy I'm back, the squirrel's happy that I'm back, and you should too! But as if I have anything substantial to say. I'm a whole lot happier right now, as compared to the last time I wrote something here. Maybe because some things are slowly falling in their rightful places. Maybe, I've learned to accept things the way they're meant to be. Or maybe, there is something good for me in the future. I can't believe we're already on the half of the year. I also can't believe I've already been working for a year without flailing my hands in failure. There are days when I could not even think straight, but we all know it happens to anyone. Anyway, I don't want to think again of the things that happened the last time. Let's all move forward and be happy. Randy Blue Boys Tribute to Kylie Minogue. Dibs on Nicco Sky.